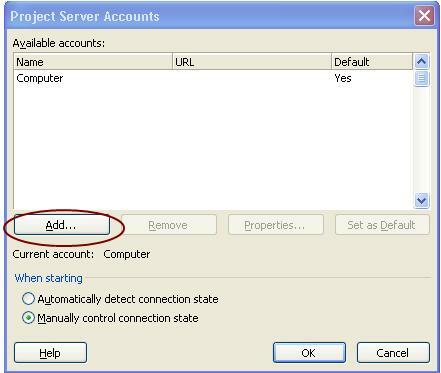 Once you met all above prerequisites, you must enter your user account name and connection information in the Account Properties dialog box in Project Professional. By default �My Computer� account will be available. 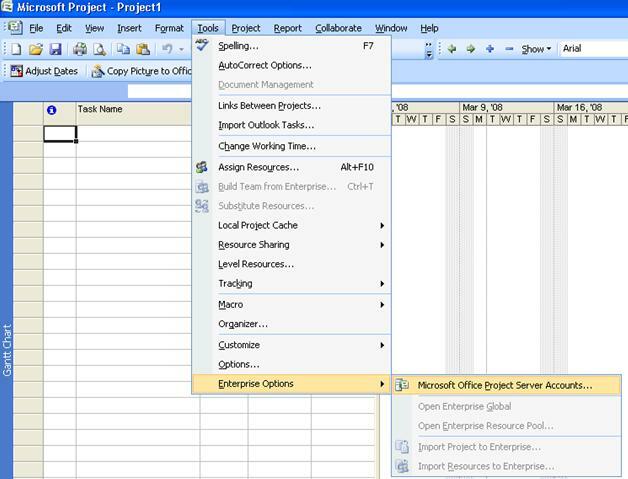 This account is meant for to work on MS Project Professional locally. 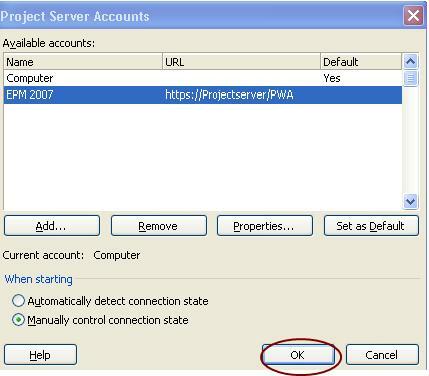 If you want to manage your plan on server, you need to create the account to connect to MS Project Server. Please continue with below described steps. 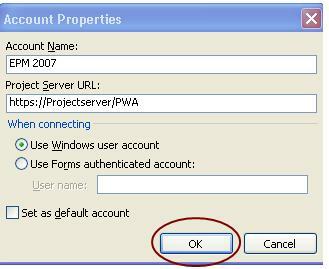 To use Windows authentication, click Use Windows user account.